When you combine Home & Contents Insurance online. Breathe easier and save up to 30% on new policies when you combine home with contents insurance online. Choose the cover that's right for you - home, contents, home and contents, optional covers - and your preferred start date. Fire, storm, theft, malicious damage, new for old replacement cover, $20 million liability cover and more. Claims can be made 24/7 online and over the phone, and there are no lengthy forms. Get a full refund if you need to cancel your policy within the first 21 days and haven't made a claim. Our customer care specialists are here 8am-6pm Mon-Fri and 8am-5pm Sat (AEDT) - 1800 619 495. Save yourself the insurance run-around by keeping everything under one roof with ING. Our new home loan customers receive an indicative estimate straight after formal approval - and you can tailor your cover in minutes. Read the PDS Part A and Part B for all the detail on standard cover, optional covers and exclusions. You could save up to 30% online. For help call 1800 619 495, 8am-6pm Mon-Fri and 9am-5pm Sat (AEST). Just quietly, we're award winning too. 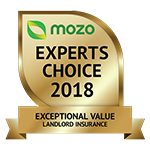 ING Home & Contents and Landlord Insurance have won the 2018 Mozo Experts Choice Award ‘Exceptional Value’, recognising insurance that’s among the best-priced for the main features it offers. Another great reason to insure with us. Start with a standard policy and build around it to create the cover that's right for you. Also known as building or house insurance. Covers the building, domestic fixtures and permanent structural improvements. For your biggest and not-so-big assets. Combine your cover online and save 30%. For many of the things you own or are legally responsible for, including furniture, appliances and carpets. Depending on the cover you're looking at, these options are a great way to customise your policy to better suit your situation. Note that additional premiums and exclusions apply. For personal possessions, including those taken outside of the home and higher value pieces like jewellery. For power surges that burn out or damage motors in electrical appliances. You can choose to extend your cover even further to include accidental damage to your home and contents. Covers you for the cost of damage caused to your home by flooding rivers, creeks and other bodies of water. Flood cover may not be available for some addresses. Extends your home insured sum by up to 25% if your nominated sum isn't enough to replace or repair damage to your property. Covers owners of investment properties for tenant default, theft and malicious damage. Important information about Home and Contents insurance. All the detail to help you make an informed decision. 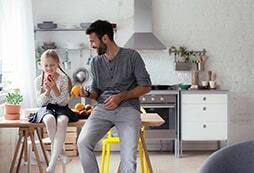 Apply online to save up to 30% on ING Home and Contents Insurance. You could increase your excess to a level you are comfortable with to reduce your premium. For home insurance, don’t include the cost of your land – only your building’s replacement value. Consider the internal fixtures and fittings, and any structural improvements like in-ground swimming pool, awnings, fencing etc. Install security equipment around the house to potentially lower your risk and premiums. Choose an insurance policy, state and provider to find out how much our customers told us they saved on average. Figures represent average savings based on data provided to us by new customers who switched online to ING's combined Home & Contents Insurance between 27/03/2018 and 27/09/2018. Individual circumstances and policy terms may vary. Please compare for yourself. Subject to meeting Underwriting criteria. 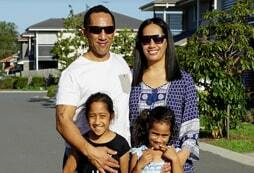 Got a question about Home and Contents Insurance? We've made it simple to set up. Your property and possessions could be covered in minutes. Answer a few simple questions online for an on-the-spot quote. Review your quote, add optional extras as required and purchase within 30 days. We send you an email straight away confirming your policy – cover starts on your day of choice. These are your pointers for getting started. Gather as much information as possible about what happened and what you need. You can lodge a claim 24/7 online or get help over the phone. Once we have your claim and confirm we have everything we need, your outcome is advised within 10 business days. For the detail on cover and claims, please check the PDS Part A and Part B. Ready to make a claim online? There are no lengthy forms. ING Home & Contents and Landlord Insurance have won the 2018 Mozo Experts Choice Award ‘Exceptional Value’, recognising insurance that’s among the best-priced for the main features it offers. Another great reason to insure with us. ING Home & Contents Insurance is issued by Auto & General Insurance Company Ltd ABN 42 111 586 353 AFSL 285571 as insurer. It is distributed by Auto & General Services Pty Ltd ABN 61 003 617 909 AFSL 241411 (AGS) and by ING Bank (Australia) Ltd ABN 24 000 893 292 as Authorised Representative 1247634 of AGS. ING is a business name of ING Bank (Australia) Ltd (ING). 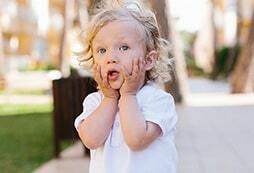 Any policy issued does not represent a deposit with or liability of, and is not guaranteed or otherwise supported by, ING or its related bodies corporate. Subject to AGS’ underwriting and ING’s Customer Eligibility and Name-Screening Assessment. Home & Contents Insurance is not available in NT, North QLD or Northern WA. This is general information only, and does not take into account your particular objectives, financial situation or needs. You should read the Key Facts Sheets (Home and Contents), Product Disclosure Statement (Part A and Part B), ING Customer Eligibility and Name-Screening document and ING's Financial Services Guide available at ing.com.au and consider if it's right for you before deciding to purchase or continue to hold this product. ING will receive a commission from AGS for each policy purchased which is a percentage of your premium. For further details see our Financial Services Guide. The price we quote is at the insurer’s sole and unrestricted discretion. It is based on the profile of the risk to be covered and any other factors the insurer may choose. These factors may change at any time without notice, as may the prices. If the policy renews, the price may exceed the price paid for the previous policy. Base rate premiums are subject to change. You will be responsible for all applicable GST and other statutory charges. DISCOUNTS: Discounts apply to the premium paid for a new ING Insurance policy initiated online on or after 30 March 2017 for approved applicants only. The discount applies accordingly: 30% discount on combined Home & Contents Insurance, 15% for Home only or Contents only policies. We reserve the right to change the offer without notice. The discount does not apply to any renewal offer of insurance. The discount offer applies only to the premium for an insurance product. It does not apply to the fees that we may charge you (these are described in our Financial Services Guide). Awarded the 2018 Mozo Experts Choice ‘Exceptional Value’ - Home & Contents and Landlord Insurance by Mozo Pty Ltd.
For information about the Australian Government Deposit Guarantee, click here. ING Living Super (which is part of the ING Superannuation Fund ABN 13 355 603 448) is issued by Diversa Trustees Limited ABN 49 006 421 638, AFSL 235153.